Quiche… I’m not always a fan. I was always given the store-bought type, which had a funny texture… I didn’t care for it much (sorry, mum). I don’t think I’ve actually had quiche for about 10 years. But when I saw this recipe on Quinn’s Baking Diary my mouth drooled. It was the tomatoes. Definately. I love a tomato (in fact, I tried “sundream” tomatoes today… amazing). but the whole thing is totally easy to make and has a lot of flavour. Best eaten straight from the oven of course!! 2. In a blender, add all the ingredients except for the water. 3. 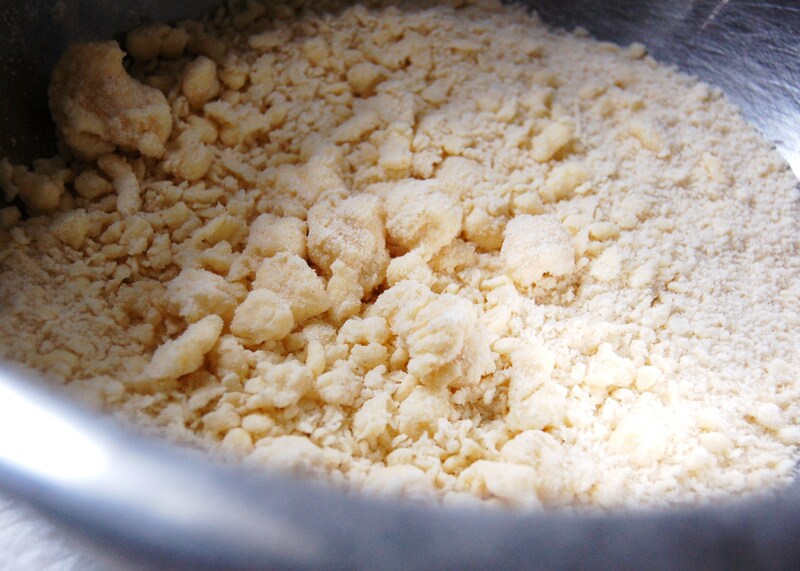 When blended, transfer to a bowl and add water a bit at a time until it all sticks together. 4. Place into a tart tin and press the dough all over the tin including the sides. It takes a while, but make sure its evenly covered. 5. Prick the pastry all over with a fork. Bake for 10-15 minutes and remove from oven. 1. In a pan of boiling water wilt the spinach for about 3-4 minutes, then drain the water. 2. Chop the spinach into smaller pieces. 3. Beat the eggs and cream together, add the spinach and cheese. 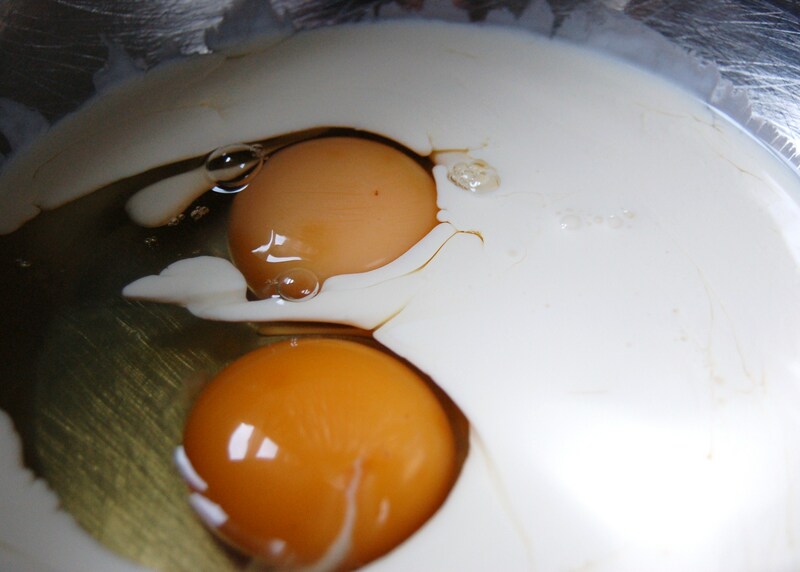 Mix well and add into the pastry case. 4. 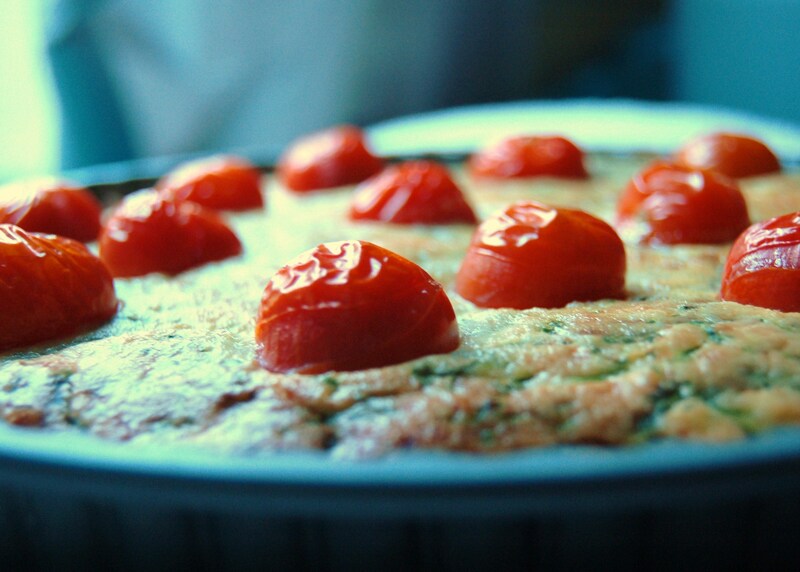 Place the tomatoes over the surface and bake for 30 minutes. yum! 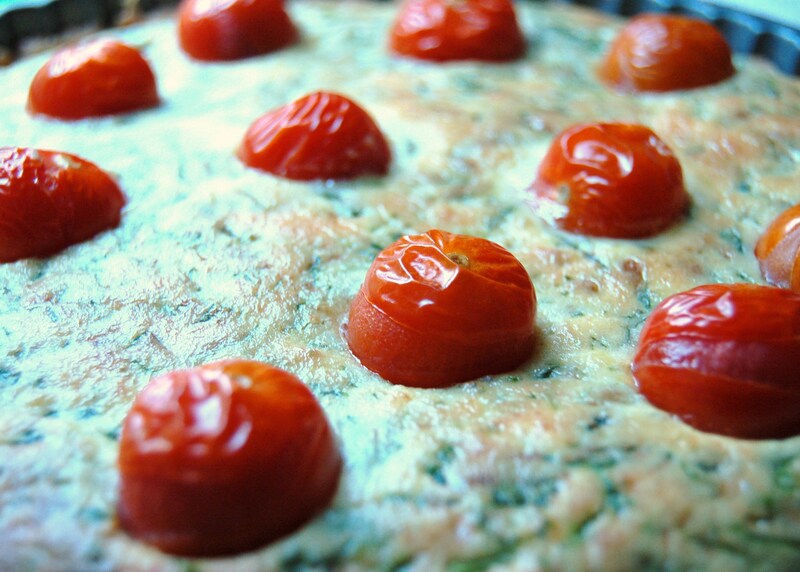 love the picture of those gorgeous tomatoes on top of the quiche! You take really great shots Milly, really you do!!!! Thanks for the shout out. 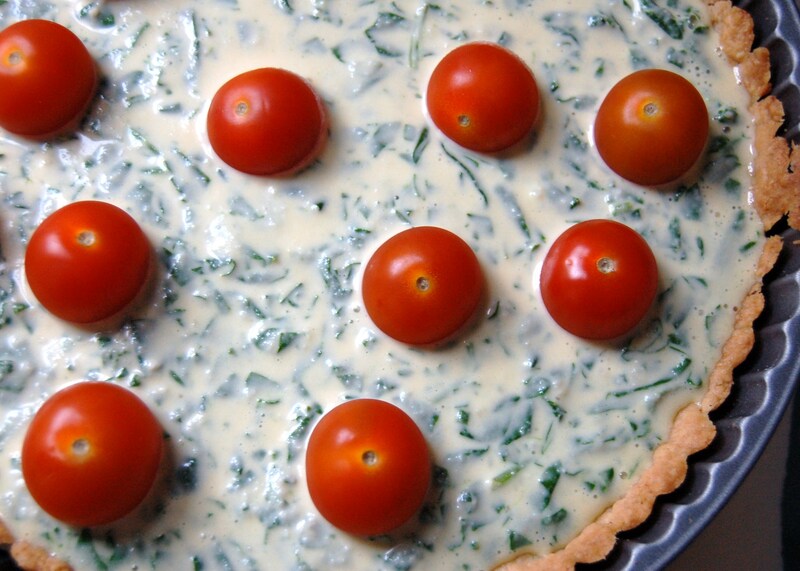 I love quiche too and find them easy to make, just as easy as eating them!